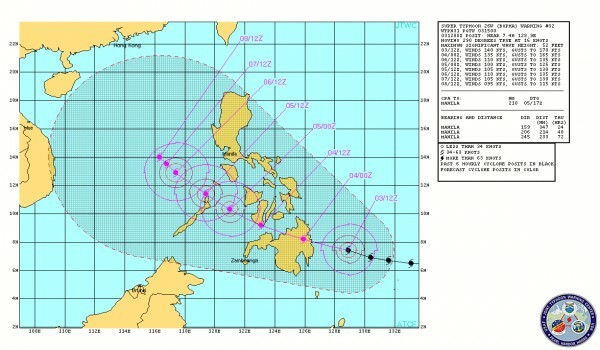 220kph sustained winds. 270kph gusts. It will cross Mindanao tomorrow (Tuesday) and give the Metro Manila area grief starting late Wednesday and all day Thursday. Batten down the hatches!!! We are fine. Only overcast skies - no rain or wind. But south of Cebu is a different story - hundreds dead, thousands homeless.